Living gluten-free takes vigilance and much self reliance daily so it seems obvious a disclaimer would not be necessary. But there are lawyers who advise otherwise. We have provided two disclaimers; the one we think is needed and one for legal folks. All information shared in articles was based on personal experience as of the date an establishment was visited and/or product tried. Recipes can change and substitutions made. Always confirm you are ordering gluten-free–even if you have ordered it before. In reviewing gluten-free meals dining out, no claim is being made the establishments have fully-dedicated gluten-free kitchens. We are not doctors, and don’t make medical claims or give advice. Gluten-Free Foodies Review seeks to provide readers with accurate gluten-free dining, products, travel information, and tips. While our advice is sound, it is not a substitute for your physician or health care provider. Please consult your personal licensed professional for advice on your own medical conditions. 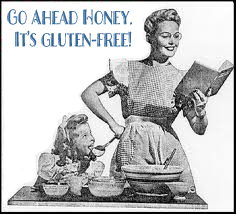 Gluten-Free Foodies Review, its staff, and consultants are not responsible for any adverse effects of consequences resulting from the use of suggestions or products that appear on this website or via e-newsletters. We do our best to ensure that the research has been compiled, obtained, discerned, or interpolated from reliable and trustworthy sources, and therefore believe the positions and beliefs shared are accurate and complete, though obviously not all material known or obtained will be contained, as distilling information into manageable quantity is in large part a goal. We at Gluten-Free Foodies Review are not responsible for any errors or omissions contained in any disseminated material and are not liable for any loss incurred as a result of using the material in any way. The intent is merely to provide useful information, products, and services, some of which we may be compensated for. While our employees and/or contributors may answer your general questions through website comments and emails received, they can not help you with specific medical questions and decisions, as they are not licensed to deal with any medical situation. No communication by our employees and/or contributors to you should be construed as personal, individualized medical advice. Readers should not rely on the information given by us to make medical decisions. Rather, readers should use the information provided by Gluten-Free Foodies Review only as a starting point, at most, to do additional independent research so that readers are able to make his or her own medical decision. You should consult with competent, professional help and read any available information.